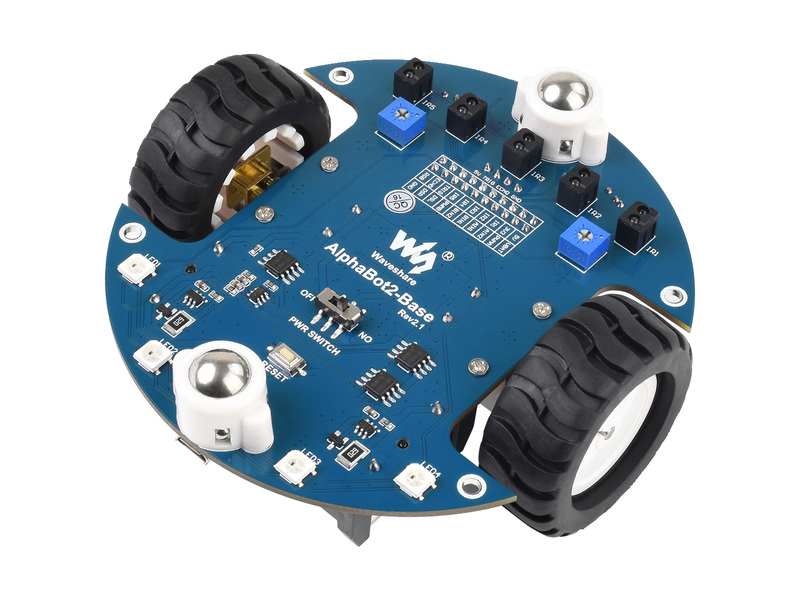 This AlphaBot2 robot kit is designed to use with the BBC micro:bit (not included). It features rich common robot functions including line tracking, obstacle avoiding, ultrasonic ranging, Bluetooth/2.4G remote control, etc. Thanks to the highly integrated modular design, it is fairly easy to assemble by a snap, no soldering, no wiring. After a few minutes spent on hardware assembing, you're almost there, our open source demo codes is ready to help you get started fast. This product requires two 14500 batteries to work, which are NOT included and should be purchased separately. The controller micro:bit is NOT included. AlphaBot2 employs a 2-layer structure to provide excellent stability and compatibility. Note: the 2.4G gamepad is NOT included in the price, besides, totally two micro:bit are required for 2.4G RF remote control.